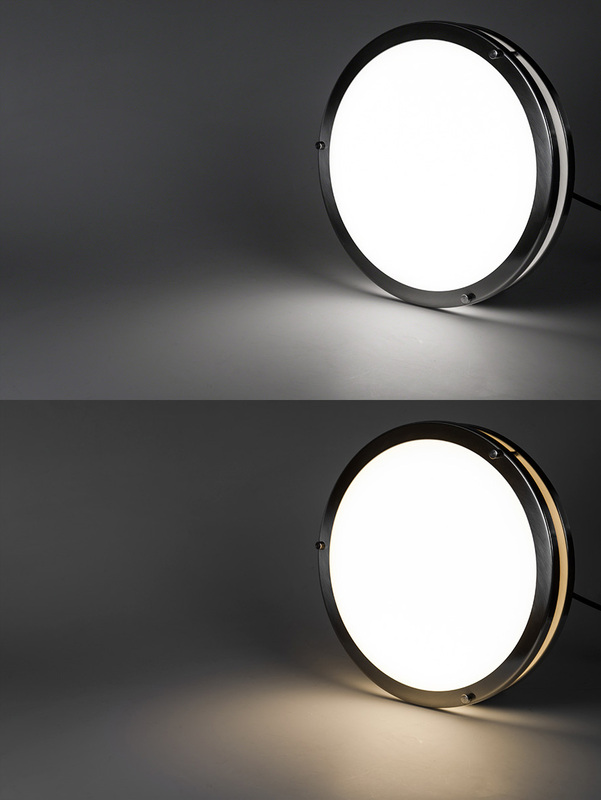 LED Ceiling Flush Mount 16" 120V Dimmable 23W: On Showing Beam Pattern In Natural White (Top) And Warm White (Bottom). 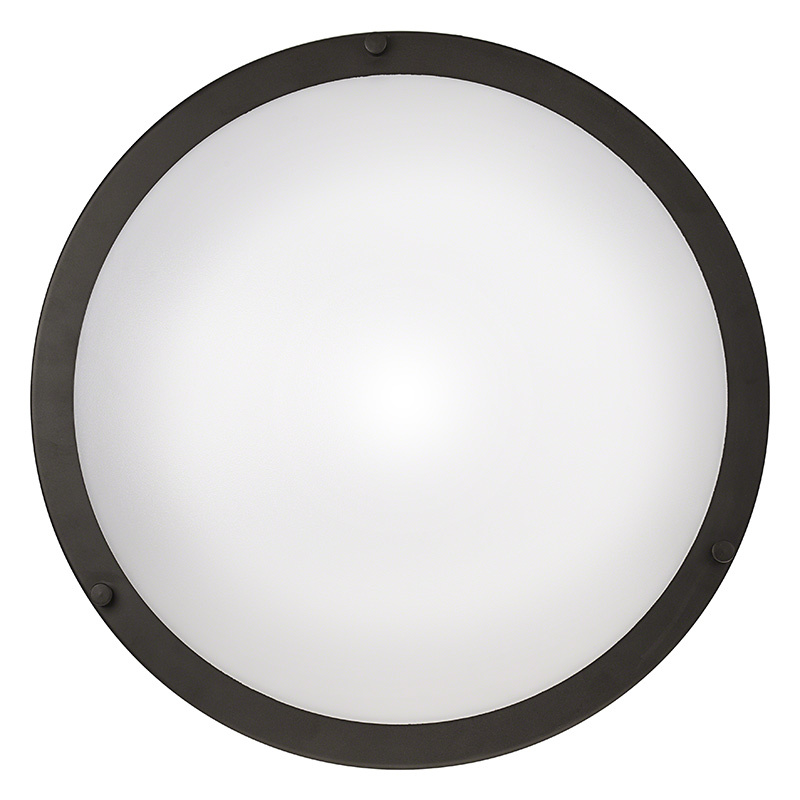 These 16-Inch Flush-Mount LED Ceiling Lights are designed for kitchen lighting, dining room lighting, foyer lighting, bedroom lighting, office lighting, and hallway lighting. 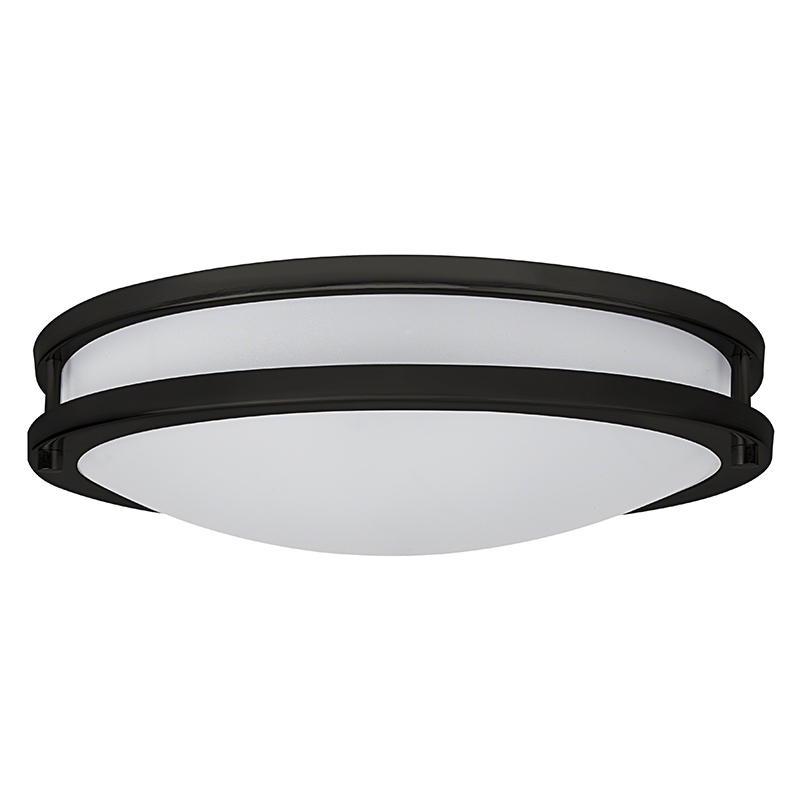 The LED fixtures are available with brushed nickel or oil rubbed bronze housings and a frosted diffusing dome for even illumination. 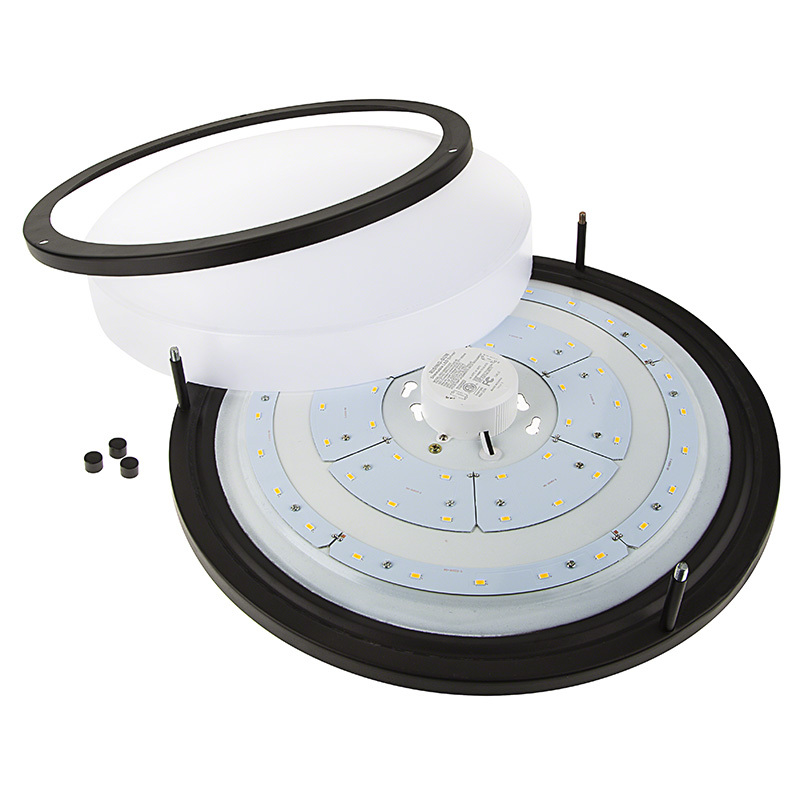 Using 55 LEDs, the ceiling dome light emits 1,600 lumens of natural white or warm white illumination and is compatible with standard high-voltage dimmers. 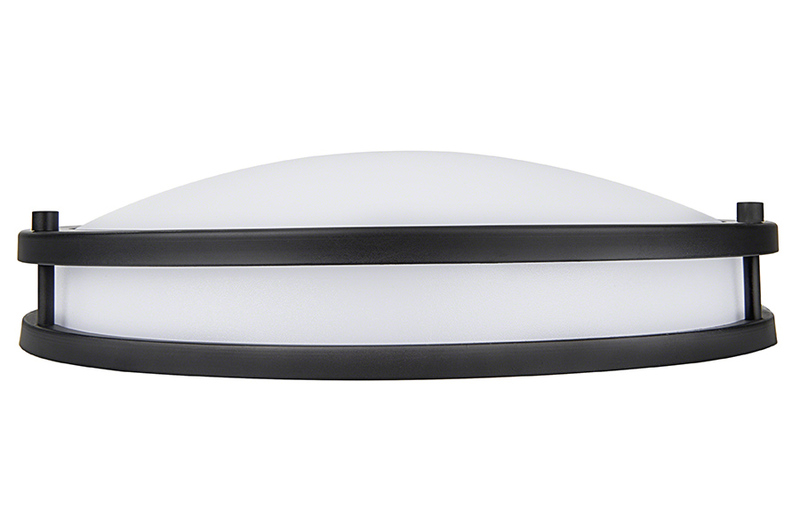 This energy-efficient LED light has 120 VAC operation and consumes 23 watts of power; an incandescent bulb with comparable light output would consume 100 watts. 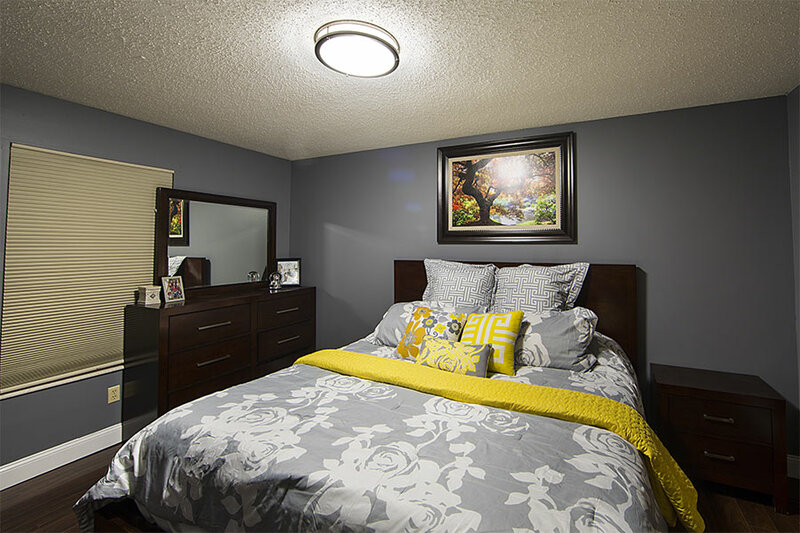 LEDs in the ceiling light fixture are designed to last 25 times longer than incandescent bulbs. Installation hardware is included. Price per fixture. The steps shown below represent general procedures for installation. However, it is recommended that only a certified electrician perform any installation work or repairs to this item. Make sure that all power is turned off prior to installation by switching off circuit breaker or removing fuse at fuse box. Do not use insulation padding or similar material to cover fixture. Only a certified electrician should perform any installation work or repairs to this item. Suitable for damp locations; Not suitable for wet locations. I. Remove the finials around the trim, then remove the trim and diffuser. Insert mounting screws (2) partially into installed standard ceiling box, leaving 2/3 of the threading exposed. Note: Standard mounting bracket is included if required for installation. II. Join wiring using included wire nuts (3), connecting line (black) to line, neutral (white) to neutral, and ground (green or copper) to ground. 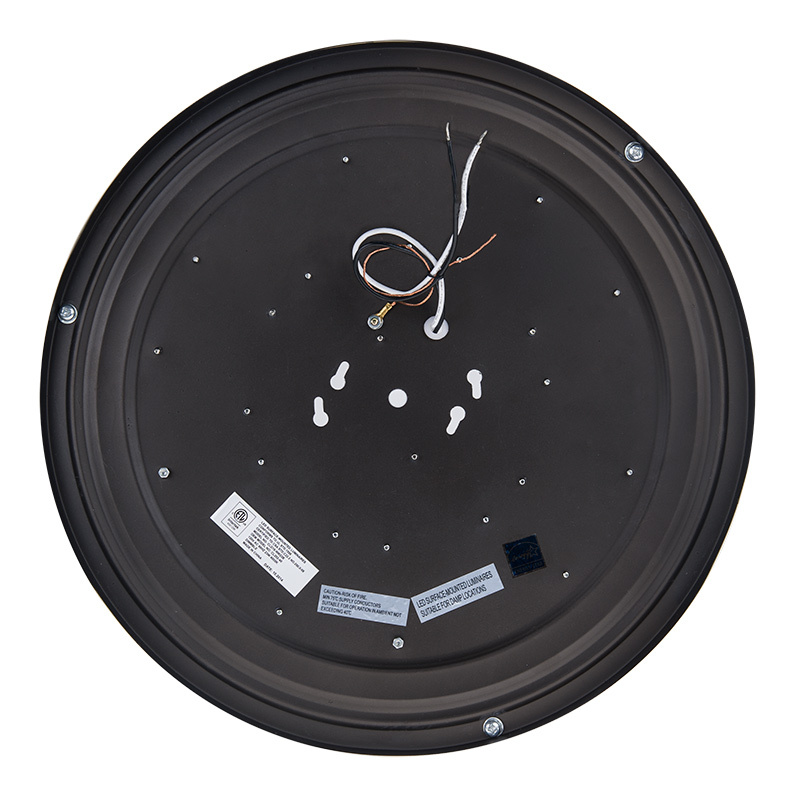 Locate fixture over mounting screws and rotate until secure. Note: In some switching applications, the Line wire may be red instead of black. Substitute accordingly. III. Tighten mounting screws until fixture is securely fastened. Place diffuser into trim and secure with the finials provided. 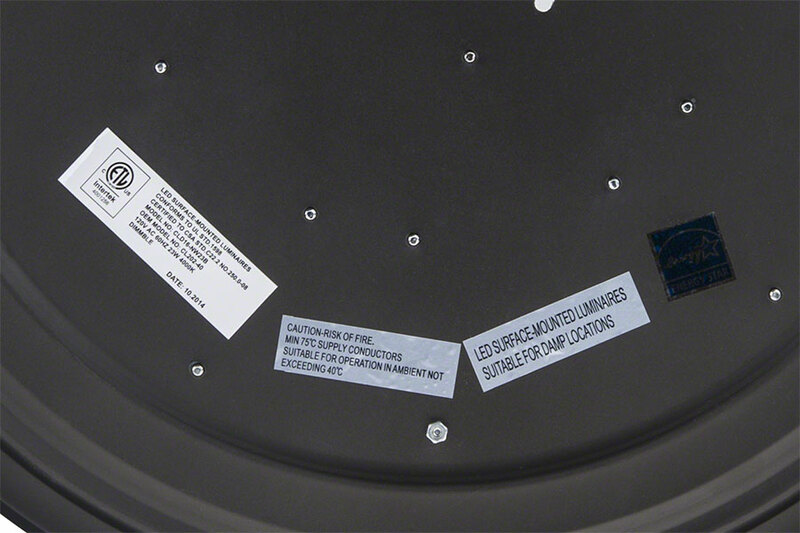 To ensure maximum performance and product life, clean your ceiling light fixture regularly. Use a soft cleaning cloth and apply only gentle cleansers such as diluted dishwashing soap. Do not use alcohol or any other chemical cleaner. 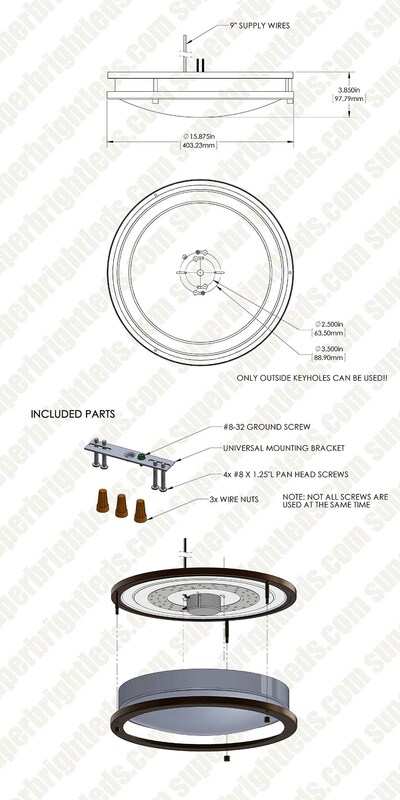 I replaced two 10" round light fixtures with a single incandescent bulb with this 16" Fixture. It's a literal night and day difference in the amount of light, I may need to install a dimmer switch on the one actually. The brushed nickel looks great on an off-white ceiling! As for the install, very simple... just removed the old fixture and bracket and installed the new bracket, connected the wires, and tightened everything up. Everything fits nicely, no forcing things into place. Couldn't get much better than that! I replaced an "energy efficient" light fixture in our closet with this one. What a difference! 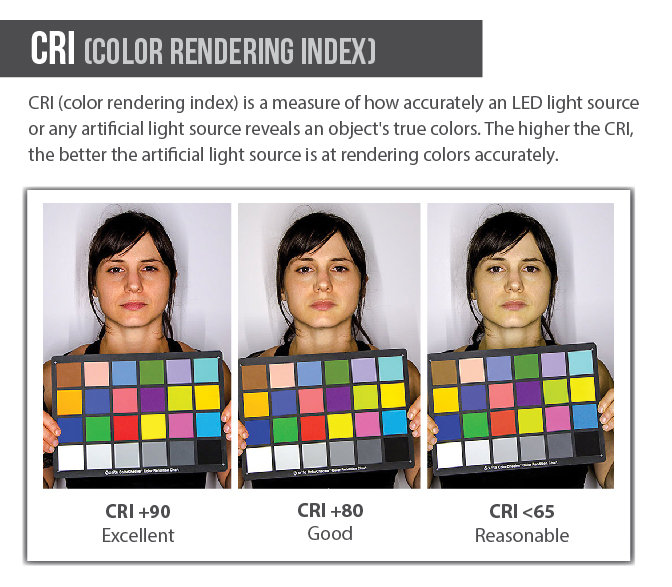 Now I can even tell what color the clothes are without having to carry them into another room. I was thinking about putting a skylight in there but now I don't have to. Great product and easy to install. This was easy to install. The brushed nickel matches my stainless steel appliances. I like that there is a warm white option. It's very bright, but still pleasing to the eyes. Great Product Sheds New Light in my Office! 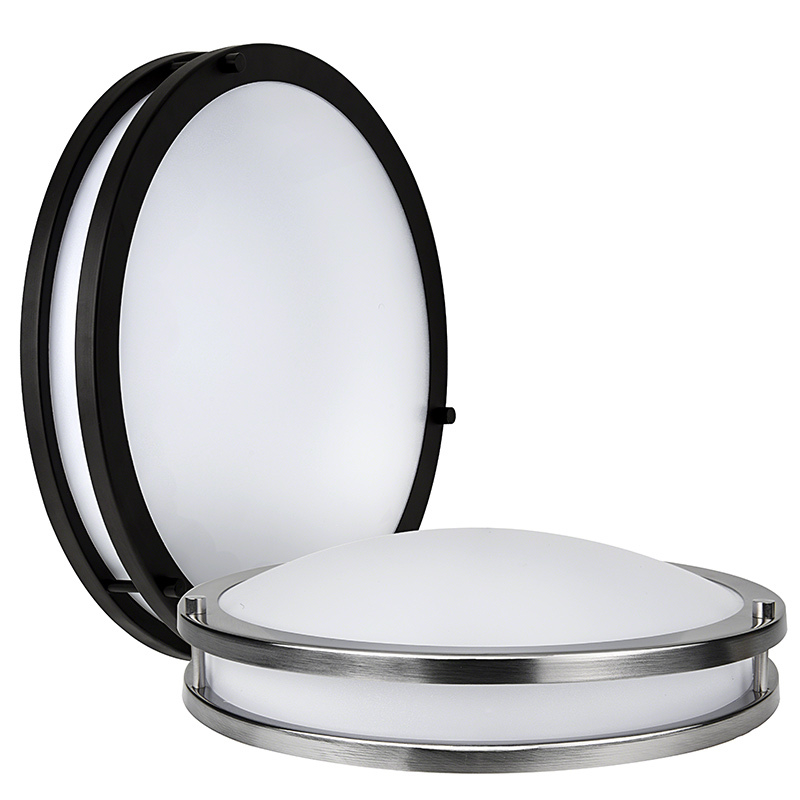 The 16-inch dimmable LED flush mount ceiling light arrived quickly and in great shape. The easy to follow instructions allowed me to quickly mount a pair of the lights in my home office. The lights look great, and with the addition of a dimmer switch I can adjust them to match my lighting needs throughout the day.